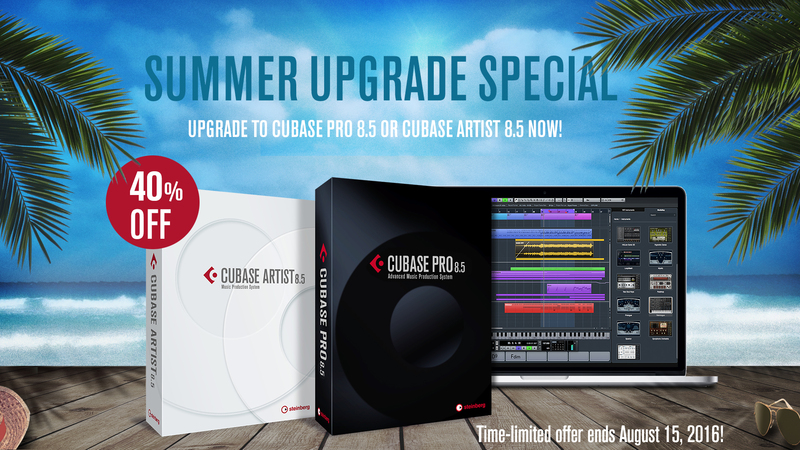 From July 15 to August 15, Steinberg offers Cubase LE customers value-packed upgrades to Cubase Pro 8.5 and Cubase Artist 8.5 at an exceptional price. The latest Cubase generation, used by star producers and musicians, not only offers a smoother workflow and added creative tools but also an innovative cloud-based collaboration system embedded in Cubase. So, if you purchase one of ZOOM products, which bundle with Cubase LE software now, you have the chance to get the professional feature set of Cubase Pro 8.5 and Cubase Artist 8.5 at an unbeatable price. 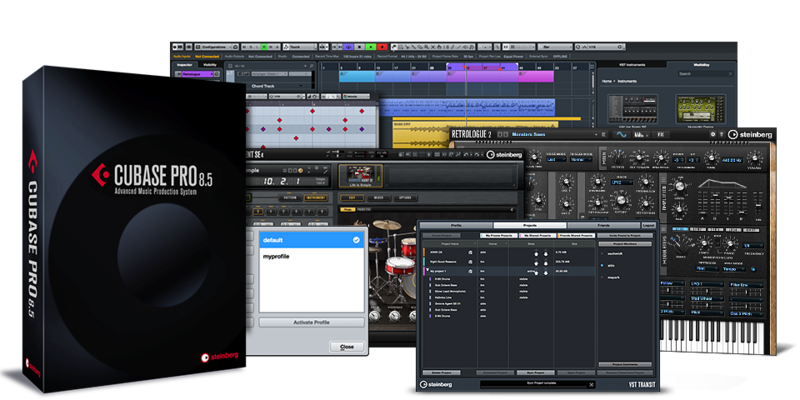 Just pick the Cubase version that suits you best and get swept away by the pro|volution. Upgrade now and save 40%! To take advantage of this Summer Upgrade Special, please visit the following promotional website, select your upgrade and enter the coupon code UPGRADE16 in the shopping cart (please note that the deducted price will only be displayed during checkout after you have entered the coupon code in the shopping cart. Cubase Pro condenses almost three decades of Steinberg development into the most cutting-edge DAW anywhere. Used by star producers and musicians for composing, recording, mixing and editing music, Cubase combines outstanding audio quality, intuitive handling and a collection of highly advanced audio and MIDI tools. Whether you record an orchestra, a huge live rock show, or a band in the studio, Cubase is sublime in every sense of the word. Cubase Artist offers a range of proven editing and sequencing tools based on the same core technologies used and appreciated by musicians around the world. With an easy-to-use interface, unsurpassed performance and inspiring instruments and effects, Cubase Artist remains unmatched in its price range. 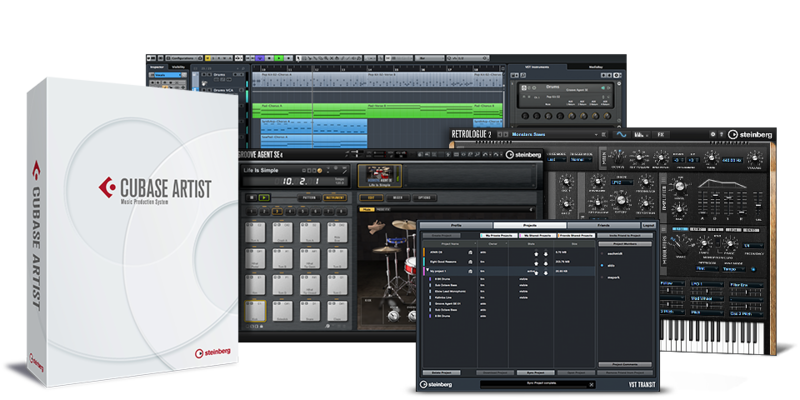 This Cubase version is simply the perfect choice for talented newcomers and seasoned musicians. More effects: Adding finest audio effects and 18 MIDI processors, including VST Amp Rack, VST Bass Amp, Quadrafuzz v2. REVelation, the full version of Voxengo’s CurveEQ, the famous Beat Designer and more! © 2016 ZOOM Corporation. All Rights Reserved.